When I was little, I would explode apples in the microwave with my grandparents. Well, not so much explode, as watch them get all soft, gooey and delicious. Ever since then, I've loved baked apples. In keeping with Apple October, I tried to step up a standard baked apple with molasses. Using a melon scoop, core out the apples. Make sure the hole is large enough to hold the filling. Lightly grease a baking pan and place the apples in the dish. In a small bowl, mix together the butter, brown sugar, cinnamon and walnuts. Fill the apple centres with the mixture and then drizzle with molasses. 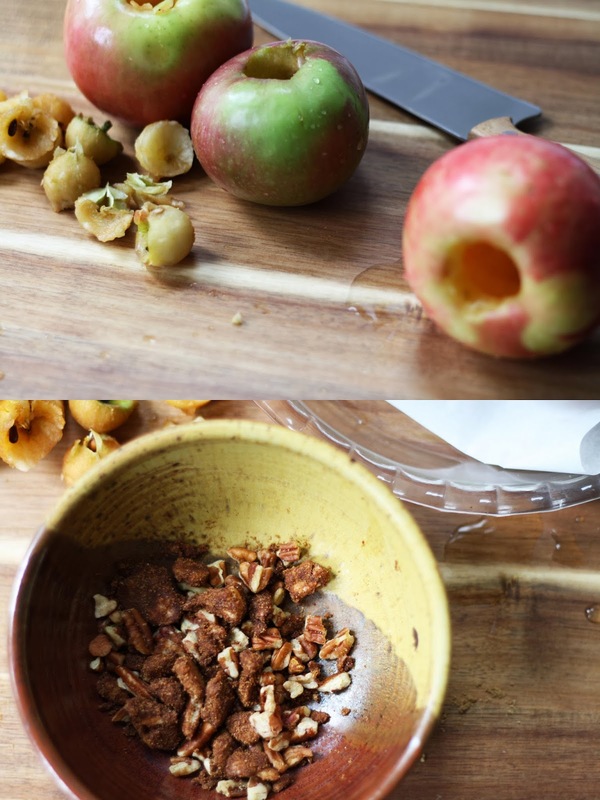 Fill the dish with a small amount of water - enough to cover the bottom of the apples. Bake for about 40 minutes, repeatedly opening the oven and basting the apples with the molasses.